We are glad you have found us! 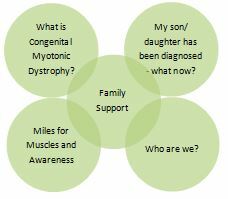 Perhaps you're a parent of a child with Congenital Myotonic Dystrophy, a grandparent, a relative or friend. 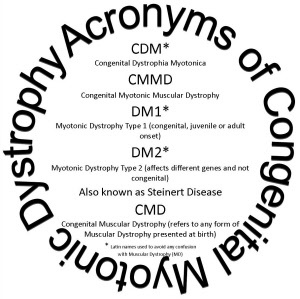 Maybe you are a professional, researching the condition, or perhaps you are still unsure whether your child has CMMD - whomever you are, we are happy to have you join our CMMD family. This is a group for YOU - so all your suggestions and comments are welcome! Please take time to have a good look at our site, and if you have any questions, ideas, information, or just want to say hello - please do feel free to email us! PREFER is looking for volunteers living with myotonic dystrophy or mitochondrial disease, including carers. As part of the IMI PREFER project, Newcastle University is to conduct focus groups for people with myotonic dystrophy type 1 or mitochondrial disease, as well as their caregivers (including caregivers of children with Juvenile/Congenital onset DM1). We want to know what people with these conditions think about different treatments (real treatments and hypothetical ones) and what trade-offs they are willing to make. A trade-off is the act of balancing a negative against a positive, for example the side-effects or risk of a treatment against the benefits. This sort of information will help pharmaceutical companies to design more patient-centric treatments and clinical trials. So your input into this study is really valuable for shaping future research. £15 voucher will be given as a thank-you for taking part. If you feel you would like to take part and support the Prefer project, but are unable to attend these meetings OR you are an affected patient with symptoms before the age of 20 – Please contact Cecilia, as you may be able to help on other parts of the study. 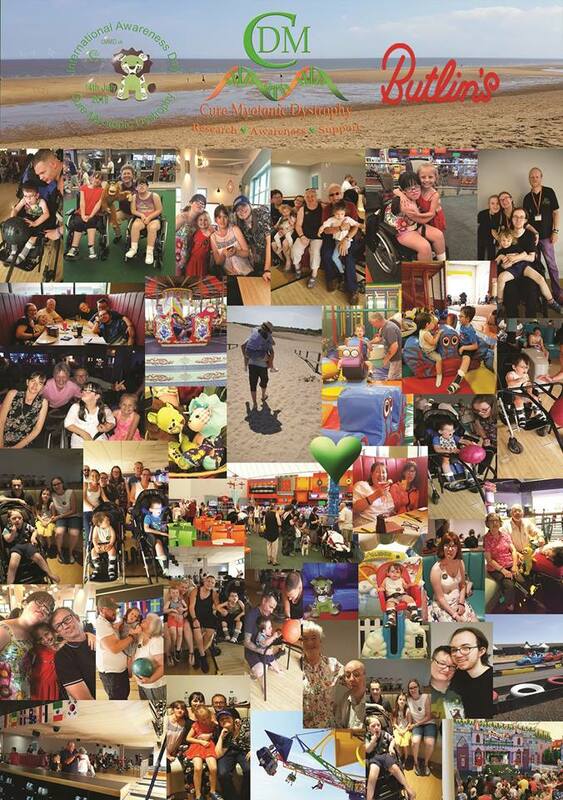 Cure DM CIC is a Community Interest Company where ALL PROFITS are used to provide family help and support to those living with the condition NOW. We arrange get togethers and enable families to connect, as well as funding research both direct and via MDUK for The Fight Fund. We would love your support in any way at all, please contact us to find out how we can help you, to help us, to help others! You can support The Congenital Myotonic Dystrophy Fight Fund by visiting the Justgiving page above (click logo) and either making a one off donation, supporting one of our amazing fundraisers, or fundraising yourself for our campaign! All funds sent to this page will be sent to MDUK and used 100% for research solely into CDM. email: fundraising@cmmd.uk for more info. ShopFactory shopping cart software powers From Diagnosis to a Cure. All-in one eCommerce software and shopping cart.